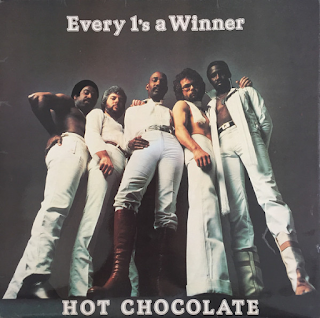 This was Hot Chocolate's fourth album, and was far more pf a pop/soul one, following on from the direction taken on the previous album, "Man To Man". Once again, less of the conscious, aware material and more disco-ish funky r'n'b and smooth, catchy pop ballads. Compared to the previous album, the balance swings in the favour of ballads as opposed to party groovers. 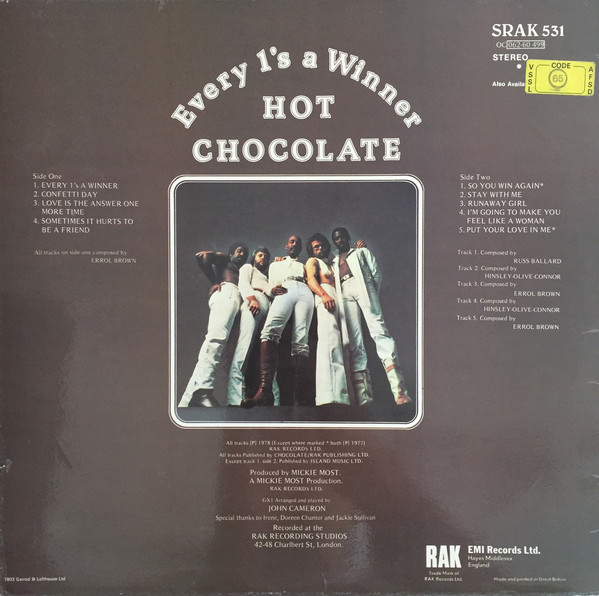 The social concerns of those great first two albums seemed a long time ago now as Hot Chocolate were well and truly a pop band - a very good one, mind. The title track was a buzzy guitar riff-driven extremely singalong hit single, while "Confetti Day" was an upbeat wry observational number about family members meeting up again at a wedding. These two are the only two really uptempo numbers on the album. 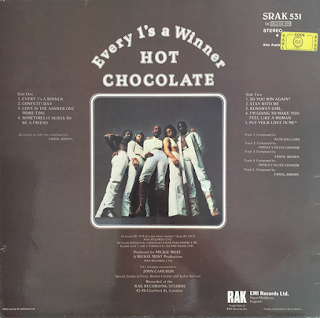 "Love Is The Answer One More Time" is the sort of grandiose, heartbreaking ballad that the group were coming to specialise in, with a huge, addictive chorus and big orchestration. "Some Times It Hurts To Be A Friend" is another in the same vein, with a few echoes of "Man To Man" from the previous albums, with sumptuous brass and string backing and a yearning vocal from Errol Brown. "So You Win Again" was the group's enormous number one hit from the summer of 1977. It was pretty much a perfect pop/soul slow number, with an addictive chorus. "Stay With Me" is a laid-back, melodic gentle soulful number that doesn't pull up any trees but it perfectly pleasant. "Runaway Girl" revisits the old sad tale scenario of "Emma" and "Seventeen Years of Age". It is once more a slow tempo number. "Make You Feel Like A Woman" also ploughs the same slow burning furrow. "Put Your Love In Me", which ends the album, is a quite adventurous song, sound-wise, with some haunting, mysterious guitar and keyboard sounds backing a sparse Errol Brown vocal. It was a chart hit, which was deserving as it was most atmospheric. Overall the album is appealing and competent, but nowhere near as good as the previous three.